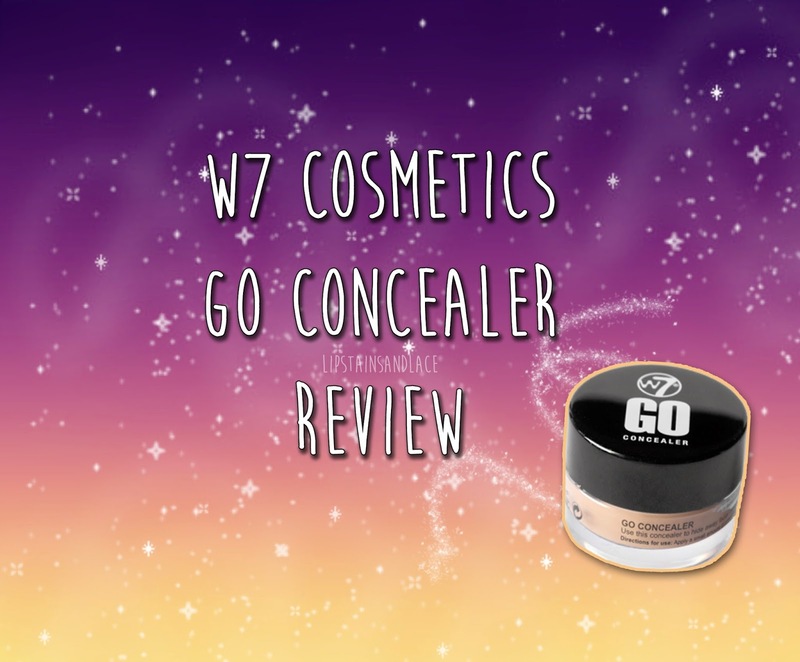 Home bragain concealer face makeup reviews w7 w7cosmetics W7 Cosmetics Go Concealer Review! Hey everyone, I know I haven't wrote a blog post in a while now and I wish I had an excuse as to why but being honest I've just been lazy! Nevertheless I'm back with another review on a fab product I've recently found! A couple of weeks ago I bought the W7 Cosmetics Go Concealer because the concealer that W7 sent me out to try out was unfortunately too dark for me so I bought this one instead. You can read my blog post on the products I received from W7 here. The concealer comes in a small tub and is easy to apply using your finger, a brush or a tub. I've been using the shade FAIR to conceal any problem areas I have and have also been using it as a cream highlight when contouring my face. A little goes a long way with this product and it's so easy to blend into your skin. It's unscented and I find it doesn't dry out my skin either so I'm assuming it would be good for people with sensitive skin. One thing I noticed about this concealer is it doesn't budge all day. Normally my foundation won't sit properly on my nose and will fade after a while but if I put this on my nose instead it stays all day and I don't even have to reapply! There is about 4 different shades so you're bound to find a colour to suit your skin tone. W7 also sell these concealer pots in corrective colours: lavender, green and yellow. Lavender is said to cover up any dark circles, green is to neutralise blemishes and yellow is used to even out your skin tone. 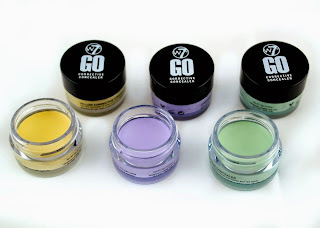 I bought mine for €2.95 in Pulse Accessories who are now stocking the majority of the W7 Cosmetics products. I've been using mine every day for a couple of weeks now and I still have loads left! This is a perfect concealer for anyones makeup bag whether they want to hide a blemish or use it for contouring. A bargain at €2.95 I'll definitely be buying this again! I'm loving the W7 brand at the moment, their products are such good quality for the money!